As of 3:45pm, there’s a tie between the Jon Favreau directed Cowboys and Aliens, staring Harrison Ford, Daniel Craig and Olivia Wilde, and the CG/live action film The Smurfs, both with an estimated $36 million gross (I predicted $39 for the former and $23 million for the latter). Both films have being going back and forth all weekend for bragging rights, but even if Cowboys and Aliens winds up number one when the actuals are released tomorrow, it will have nothing to brag about, since the film had a budget of $163 and will no way recoup that number in North America. The poor showing also cements the fact that Harrison Ford is far from his peak as a leading man. The good news is, this just might speed up Indiana Jones 5. Then again, that may not be good news, based on that last one. The Smurfs did manage to surprise this weekend, that’s for sure. 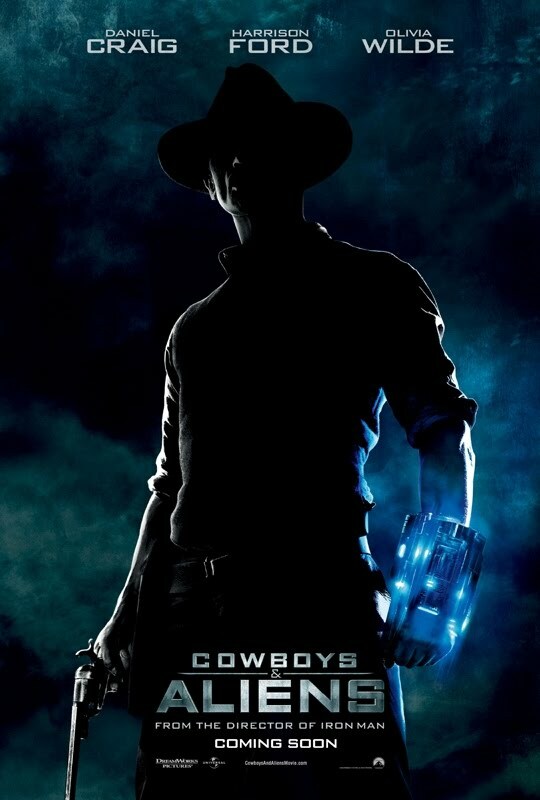 I really didn’t anticpate a strong showing, but it proved to be a strong family film and could wind up trumping Cowboys and Aliens when the actuals come out. Coming in at number three is Captain America: The First Avenger, with $24.9 million, down 61% from its opening weekend. That was a larger drop than I expected, and I’m doubtful that the film will reach the magic $200 million mark. Instead, I think Cap’s big screen adventure will likely top out around $180, the same as Thor. Harry Potter and the Deathly Hallows Part Two added another $21 million to it’s North American gross, bringing it’s total to $318 million in just three weeks. 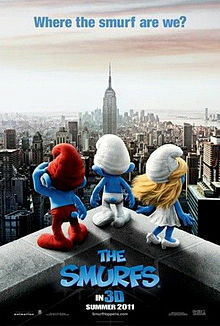 I had predicted $25 million and a third place finish and it would have made it, if not for those pesky Smurfs! Debuting in fifth place with a respectable $19 million ($3 million more than I anticipated) was the ensemble romantic comedy Crazy, Stupid, Love. It will be interesting to see how the film holds up in coming weeks, but I’m doubtful that it will hit blockbuster status. Next week, Ryan Reynolds tries to wash away the stench of Green Lantern with another comedy, The Change-Up, while Rise of the Planet of the Apes details…the rise of the planet of the apes. Check back Friday for our predictions!